Temesghen Desalegn, editor of Feteh, was released from Kality Prison in Addis Ababa, the capital, at around 3 p.m. today, according to Feteh Deputy Editor Hailemeskel Beshewamyelhu. The journalist was jailed on Friday in connection with his articles that appeared in seven editions of Feteh and criticized the policies of the late Prime MinisterMeles Zenawi, according to local journalists. Charges against Mastewal Publishing and Advertising PLC, the company that publishesFeteh, were also dropped, according to news reports. The company had been charged with inciting the public to violence by publishing Feteh, according to a charge sheet reviewed by CPJ. Temesghen faced criminal charges including defaming the state and inciting people to overthrow the government, the sheet said. Feteh has not been published since July 20, when the government ordered Barhanena Selam, the state-run printing company, not to print the paper. The ministry blocked the distribution of a Feteh edition with a front-page story about the conflicting reportssurrounding the illness of Meles, according to news reports. It was not immediately clear whether Feteh would be able to resume publishing. Ethiopia’s Justice Ministry said it won’t prosecute the editor of the weekly newspaper Feteh, whose distribution was blocked after it reported on the illness of late Prime Minister Meles Zenawi before his death this month. “After further investigation the prosecutors have decided to drop the charges,” Desalegn Teressa, a ministry spokesman, said in a phone interview today from the capital, Addis Ababa. 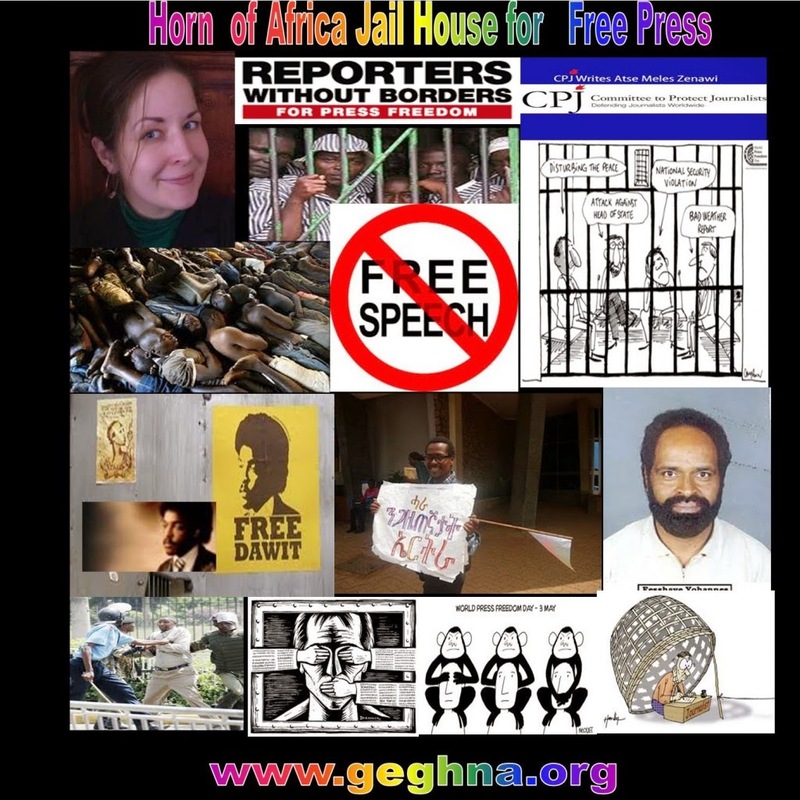 Ethiopia has been criticized by the United Nations and advocacy groups including the New York-based Committee to Protect Journalists over legislation that restricts freedom of expression. Feteh’s editor, Temesgen Desalegn, had been facing four charges including attacking the state by defamation and inciting young people to overthrow the government, based on articles published between July 2011 and March, Amnesty International said on August 24. He has been released from the prison where he was held after his first appearance at court last week, said Hailemeskel Beshewamyelhu, an editor at the newspaper. Feteh, which distributed around 30,000 copies in Amharic and was frequently critical of the government, has not been printed by the state-owned Berhanena Selam Printing Enterprise since the ministry ordered the impoundment of its July 20 edition. Last week the management said it is still not prepared to publish the newspaper, Hailemeskel said. Social media users across Africa have been giving mixed reactions to the official announcement of the death of Ethiopian Prime Minister Meles Zenawi. Some commentators consoled Ethiopians and the late PM's family, and hailed the late PM for bringing political stability. Others were critical of Mr Meles, especially of his leadership style, democratic credentials and decision to seek treatment abroad. Social media commentators in several African countries sent their sympathies to Ethiopia. Reacting to the news on the Facebook page of Kenya's NTV station, "Kibet Felix Koech" said: "2012 is not a good year for African leaders, may his soul rest in peace." Numerous African leaders have died in 2012, including President Bingu wa Mutharika of Malawi, Guinea-Bissau's Malam Bacai Sanha, and John Atta-Mills of Ghana. On Twitter, "James Munyaneza", who describes himself as a Rwandan journalist, pays tribute to Meles: "#Rwandans join #Ethiopians in mourning their fallen leader. The PM [prime minister] has been a close friend of the people of #Rwanda. #RIPMelesZenawi". Another Rwandan Twitter user, "Ladislas Ngendahiman", echoes her compatriot's remarks, saying: "#Rwanda has lost a true friend and hero! RIP". There is also anxiety evident in many users' comments, and a sense that Mr Meles's death could lead to unrest in Ethiopia. Twitter user "Fatou Toure", who describes herself as expatriate, says the PM's death "is terrible news even though I was not his fan. I'm just hoping the transition is peaceful." Another Ethiopian Twitter user, "Buff Balcha", says: "I'm so scared for my country right now #Ethiopia #Meles". "Gerald Mahinda", writing on NTV's Facebook page, expresses fears of imminent religious conflict in Ethiopia, saying "the civil war between Christians and Muslims is about to start!" This is in reference to recent Muslim protests in the capital Addis Ababa. On the Facebook page of South Africa's Mail & Guardian newspaper, "Brenda Cadillac Madisha" praises Mr Meles for stabilising Ethiopia, but is also fearful about the country's future, saying: "I believe that he became the glue that held Ethiopia together judging by the near stability that Ethiopia experienced over the last decade or so and the millions of dollars that it got." The user adds: "I am afraid now that Meles is dead the ethnic violence that erupted in Ethiopia will come back and haunt Ethiopia again. RIP Zenawi." Meanwhile US-based Twitter user "Simret Zeru, Esq. ", writes: "Before you start celebrating in the streets over the death of Meles Zenawi, consider its implications. He might've been the lesser evil." Many social media commentators have been critical of Mr Meles, and the legacy he leaves behind. Twitter user "Mohammed Ademo", a US-based journalist, says: "#Meles had repeatedly called his predecessor Mengistu a butcher. For many Ethiopian youth my age, his legacy is no different. #Ethiopia". "Fisseha Tegegn", who describes himself as a London-based journalist, criticises those mourning Mr Meles's death, tweeting: "You can express your feelings in whatever way you want but please, don't try to tell me that it is a sad day for Africa. No, it is not!" Meanwhile on the Facebook wall of the South African Mail & Guardian newspaper, "Ranyabane Clive Polile" criticises the African political elite for seeking medical treatment overseas, saying: "African despots don't use public facilities they build for their own people. Condolences to the people of Ethiopia for their loss". Ecuador Defies UK/US Pressure, Gives Assange Assylum - YouTube: " "
It said there were fears Mr Assange's human rights might be violated. 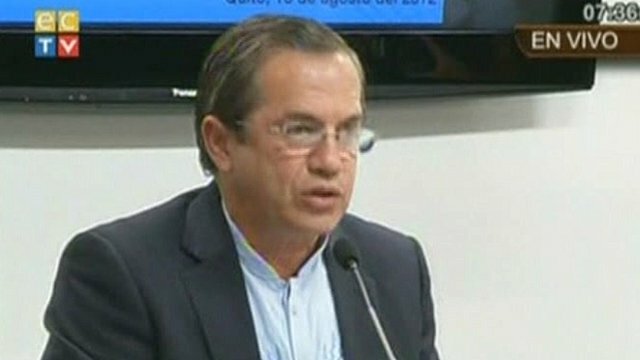 Foreign minister Ricardo Patino accused the UK of making an "open threat" to enter its embassy to arrest him. The Australian national said being granted political asylum by Ecuador was a "significant victory" and thanked staff in the Ecuadorian embassy in London. Ecuador's Foreign minister Ricardo Patino: "We believe that his fears are legitimate"
However, as the Foreign Office insisted the decision would not affect the UK's legal obligation to extradite him to Sweden, Mr Assange warned: "Things will get more stressful now." Announcing Ecuador's decision, Mr Patino launched a strong attack on the UK for what he said was an "explicit type of blackmail". The UK Foreign Office had warned, in a note, that it could lift the embassy's diplomatic status to fulfil a "legal obligation" to extradite the 41-year-old by using the Diplomatic and Consular Premises Act 1987. Ecuador's foreign minister said: "We can't allow spokespeople from the UK to gleefully say they have been honest when they have threatened us in such a way." Political asylum is not available to anyone facing a serious non-political crime - such as the allegations levelled against Mr Assange. But does his new status mean he can now leave his Swedish problems behind? No. Asylum does not equal immunity from prosecution - and Julian Assange needs safe passage through UK territory that he won't get. Mr Assange knows he can't leave without risking arrest by officers waiting outside. The police can't enter the embassy unless the government revokes its status. Embassy vehicles are protected by law from police searches - but how could he get into an Ecuadorian car without being apprehended? And what happens after he's in the car? At some point he will have to get out again. Stranger things have happened. In 1984 there was an attempt to smuggle a Nigerian man from the UK in a so-called "diplomatic bag" protected from inspection. The bag was in fact a large crate - and customs officers successfully intercepted it at the airport. He referred to the UK's note as an "open threat" and accused the UK of "basically saying we will beat you savagely if you don't behave". 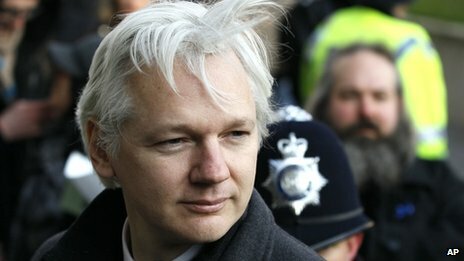 Mr Patino said Ecuador believed Mr Assange's fears of political persecution were "legitimate". "We trust that our friendship with the United Kingdom will remain intact," he added. The Foreign Office said it was "disappointed" by the statement issued by Ecuador's foreign minister. It said in its own statement: "Under our law, with Mr Assange having exhausted all options of appeal, the British authorities are under a binding obligation to extradite him to Sweden. "We shall carry out that obligation. The Ecuadorian government's decision this afternoon does not change that." The Foreign Office said it remained committed to reaching a "negotiated solution" that allows it to carry out its "obligations under the Extradition Act". It means Mr Assange's arrest would still be sought if he left the embassy. On Twitter, Sweden's foreign minister, Carl Bildt, said the country's "firm legal and constitutional system guarantees the rights of each and everyone". "We firmly reject any accusations to the contrary." Outside Ecuador's embassy in London, the BBC's James Robbins said Mr Assange's assembled supporters were delighted. 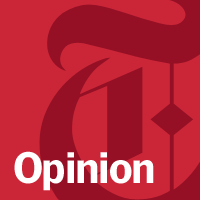 "The political temperature has risen very significantly. It is clear this is only the beginning of a very long legal contest," he said. And BBC legal correspondent Clive Coleman said there was now a "complete standoff" between the UK and Ecuador regarding the status of the embassy in London. He said the British government now had to make a decision, adding that the risks were enormous - including making other embassies around the world vulnerable. "I imagine the Foreign Office is awash with lawyers, discussing their options," said our correspondent. 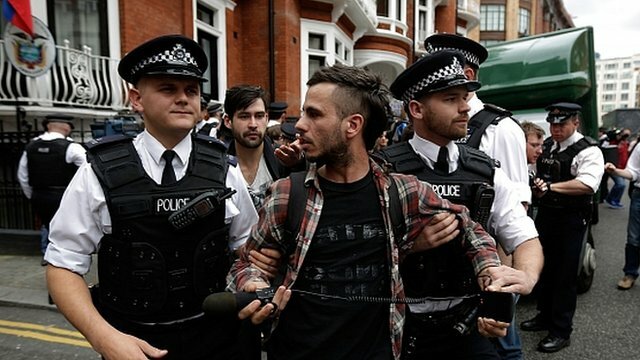 Julian Assange's small, but vocal, band of supporters chanted loudly and marched along the street in front of the Ecuadorean Embassy when the news filtered through from Quito. They, like the man they have come here to support, regard Ecuador's decision as a significant victory against the UK, US and Sweden, all of which they claim are trying to silence Mr Assange. But Mr Assange's supporters also know there's little chance of the man they regard as a hero of free speech making a public appearance on the pavement opposite the world-famous green awnings of the Harrods department store. He would very likely be arrested if he stepped outside the Ecuadorean Embassy, where he is - for the moment at least - still protected by the diplomatic immunity granted to foreign government buildings on UK soil. Mr Assange is locked in a diplomatic and political stalemate. Ecuador may have granted him asylum, but he still has nowhere to go. "I would be very surprised if that power was used - certainly in the short term," he added. Mr Assange entered the embassy after the UK's Supreme Court dismissed the Australian national's bid to reopen his appeal against extradition and gave him a two-week grace period before extradition proceedings could start. A subsequent offer by Ecuador to allow Swedish investigators to interview Mr Assange inside the embassy was rejected. The Wikileaks website Mr Assange founded published a mass of leaked diplomatic cables that embarrassed several governments, particularly the US's, in 2010. Mr Assange says he fears that if extradited to Sweden, he will then be passed on to the American authorities. In 2010, two female ex-Wikileaks volunteers accused Mr Assange, an Australian citizen, of committing sexual offences against them while he was in Stockholm to give a lecture. Judie Oron knows the price of freedom. So does her daughter Wuditu: $111. That's the price Oron paid to free the 17-year-old Ethiopian Jew from slavery in 1992, a story she brings to London Public Library's Wolf Performance Hall Friday as part of Investing in Children's week-long book camp, where young people attend workshops with writers, actors/playwrights and artists. Oron took Wuditu into her family (not her real name since Oron continues to protect her identity) and kept her story secret to shield her from publicity. But three years ago, Wuditu asked Oron to write about her journey from slavery to draw attention to the problem of child slavery in Ethiopia. The result was the award-winning book for children and teenagers,Cry of the Giraffe (Annick Press Ltd), which follows Wuditu's story "in her own voice," a story based in fact but delivered with some fictional elements, such as dialogue. The story begins when Oron was working as a journalist at The Jerusalem Post, which had established a fund to purchase basic goods for the Ethiopian Jews who had fled Ethiopia's repressive Marxist government, trekked across hundreds of kilometres and waited in Sudan's refugee camps to be airlifted to Israel. On another occasion, Oron was asked by an Israeli Embassy worker in Ethiopia to look after a young girl, Lewteh, who had been separated from her family. The child's father's health was failing and he asked Oron to raise the girl, which she did. The father had paid another man to go back to Ethiopia and search for another lost daughter. The man returned and said she was dead. "For two years, Lewteh never asked about (her older sister) Wuditu," Oron recalled. "Then one night I found her crying in her room, writing a letter to her allegedly dead sister and she said she didn't believe the man who said her sister was dead was really telling the truth. She said, 'I can still feel my sister breathing.'" So Oron returned to Ethiopia and eventually found Wuditu, narrowly escaping a mob that had just discovered Wuditu was a Jew and was going to harm her. The sisters were reunited and Oron, the mother of two boys, now had a family of four children. Today, Wuditu is in her late 30s and Oron won't reveal much about her, except to say she is now a case worker helping other people who've gone through similar experiences. What: Cry of the Giraffe, an award-winning book by Canadian-Israeli author/journalist Judie Oron, based on a true story about a young girl’s rescue from slavery in Ethiopia, including a reading and book sale. When: 12:30 p.m. to 2 p.m., Friday. Where: Wolf Performance Hall, London Central Library, 251 Dundas St.
E-mail joe.belanger@sunmedia.ca, or follow JoeBatLFPress on Twitter. JINKA, ETHIOPIA — No one here knows the news. Not the locals and not the handful of anthropologists like myself scattered in this corner of rural Ethiopia. The prime minister, Meles Zenawi, is missing, reported seriously ill and in a European hospital. I only caught wind of it as I boarded a plane to Addis Ababa and a Google alert came up in my e-mail. The official government spokesman painted a rosier picture: After 21 years of tireless service, doctors have advised him to rest for a few weeks to recover from health complications caused by overwork. We are assured everything is proceeding normally. Here in Ethiopia we click on links that don’t work, not that there is any news. One Ethiopian newspaper, Feteh, had its daily distribution of 30,000 issues halted late last month because the government asserted it was a security threat. Using Skype can get you 15 years in prison. I get another e-mail, this time from a colleague at Harvard that says, “It seems like things are really heating up there. I hope that’s not too close to where you are.” I check Google again: 30,000 refugees cross the border into Kenya because of ethnic fighting. I bring the news to breakfast with a few other local researchers. No one here seems to have heard anything about it and it’s only a few hundred kilometers away. It’s the same with the U.S. Air Force base a half-day’s drive from here. I meet a man at the bus station there and he tells me he has many American friends. “How? Where?” I ask. “Oh, there are so many American soldiers here. They are making a base at the airport.” Only months later did an American publication break the news about foreign bases being used to launch drones. I ask the nomadic pastoralists with whom I work if they know what is happening with the prime minister, or about the fighting near Moyale. No one has heard a word of it. The rest of the world hears about these things through newspapers, the Internet and television stations. But most of rural sub-Saharan Africa is in an information vacuum. The world could be going up in smoke and we wouldn’t know it. In these rural reaches, you can’t buy newspapers. The only ones you find are months old, from faraway Middle Eastern countries in languages no one here can read, used by the store clerk to wrap your pain killers or soap. But there are some things you do hear about that never make it to the interconnected world. Here information travels by word of mouth. It may take days or months, and what happens just a few hundred kilometers away may be of little interest if it reaches here at all. Presidential elections, the Olympics, the Arab Spring are unheard of. Instead, the events of everyday life travel far and wide: a distant cousin’s cow had twin calves, an NGO is building a water pump nearby, the Omo River has flooded. These things matter because they affect daily life. There is more milk, there may be clean water, planting will begin when the river recedes. In the world of newspapers, you may never hear about the measles outbreak that infects hundreds, or the time thousands of pastoralists fled into the mountains when Kenyan tribesmen crossed the empty desert border. You hear about how much is spent on foreign aid but you don’t hear about the celebrations that occur when it arrives, just as you don’t hear when the truck that carries it breaks and is not repaired for months. You don’t hear how the children cry at night on a handful of grain a day. You hear a politician say vaccines cause autism but you don’t hear the gurgling of a young boy with polio as he tries to move a body no longer his own. You hear about Matt Damon bringing clean water to Africa, but you don’t hear how an entire migration route changes when the only waterhole in a 40-kilometer radius collapses. You don’t hear how entire villages spring to life all over the country, hundreds of white-robed people dancing in the dirt streets at dawn, when the 56-day Lenten fast ends. You don’t hear how at night when the customers leave, the boys who trade their youth serving beer in some no-name bar in some no-name town turn the music up and dance with one another, a few minutes of found innocence in a childhood of labor. The stories you don’t hear have no less life than the stories you do. It’s just that there is no one here to tell them. Luke Glowacki, an evolutionary anthropologist at Harvard University, is currently working with pastoralists in the South Omo Valley, Ethiopia. Ethiopia's federal supreme court reduced columnist Reyot Alemu's jail sentence from 14 to five years in prison on 3 August after overturning her conviction on charges of receiving money from illegal sources, conspiring and possessing material for a terrorist act but upholding her conviction on a charge of helping to promote or communicate it. She is being held in Kality prison on the outskirts of the capital. "Ever since the start of this case, we have been saying that contacting members of the political opposition does not turn a journalist into a terrorist," Reporters Without Borders said. "The July 2009 anti-terrorism law under which Alemu was convicted is being ill-advisedly used in a draconian manner, culminating with a federal high court sentencing her to 14 years in prison and a fine of 1,850 US dollars. Like fellow journalist, Woubeshet Taye, she should never have been jailed. We call on the authorities to overturn their convictions and release them." The supreme court ruled that the prosecution had proved that she was paid for her reporting by Elias Kifle, founder of the Ethiopian Review, an opposition news website based in the United States, but had failed to prove how much money changed hands or whether it was illegally obtained and wired from a terrorist organisation. The court also struck down the charges of conspiracy and planning to commit a terrorist act as unproven, but endorsed the high court decision that her actions promoted and supported the work of an entity with known ties to organizations labelled as terrorist by the parliament. The supreme court said it upheld Alemu's conviction under article 652/7 of the anti-terrorism law because her work constituted "participation with covert forces of violence" and because she monitored and reported on the activities of individuals recruited by Kifle with the aim of harming constitutional order and damaging vital infrastructure. The five-year sentence imposed by the supreme court is the minimum under article 652/7. The supreme court did not mention the fine that the high court imposed. Alemu, a columnist for the weekly Fitih, and Taye, deputy editor of the Awramba Times, a weekly that has ceased to publish, both received 14-year sentences in January on charges of helping to prepare and participate in a terrorist attack.